There are so many great reasons to host your destination wedding in Los Cabos. And whether you choose Cabo for the sun, beaches or laid-back party atmosphere, your bridal hair and make-up should be a perfect match with your personality and wedding style. 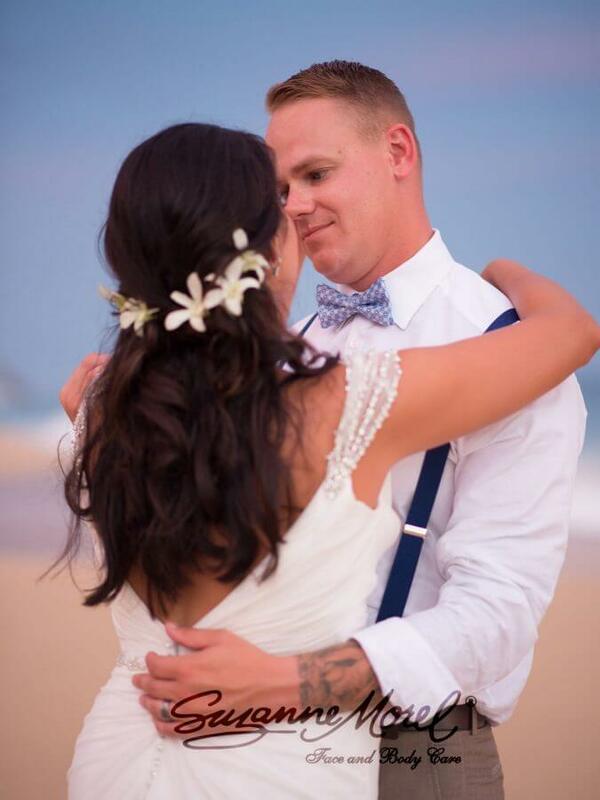 Our bridal hair and make-up professionals are experts at everything from vintage glamour to completely natural looks, but there is definitely a special look our Cabo brides request every wedding season: The soft, beachy Cabo bridal style! For outdoor weddings here in sunny Los Cabos, our priority is keeping your bridal make-up soft and sweet. To achieve this look, it is important to blend the colors well and never go too dark with the colors. Remember, your make-up artist can be available for touch-ups throughout your wedding day and evening, and you can always go with a more dramatic look for the reception. If you wish to change your look from day to night after your ceremony, please ask your wedding coordinator to include the extra time in your proposal. 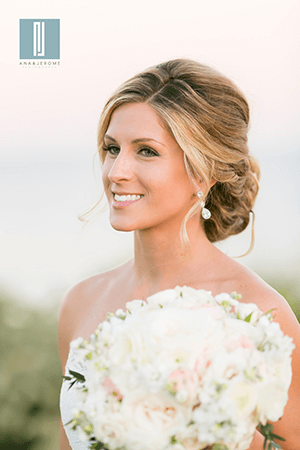 Beachy bridal hair in Los Cabos is most often styled loose, with the side chignon being our most-requested wedding hairstyle. Bridal hair styled half-up/half-down is also very popular, and adding a fresh flower, veil or any other hair accessory completes this perfect beachy look! This entry was posted in Cabo Bridal Hair and Makeup and tagged beachy Cabo wedding hair and makeup, Cabo beach wedding hair and makeup, Cabo bridal hair and makeup, Cabo bridal hair flower, Cabo bridal salon, Cabo bridal style, Cabo bridal veil, romantic Cabo hair and makeup, romantic wedding makeup, soft wedding makeup, Suzanne Morel Face & Body Care.